Located on the French side of St. Martin, this air conditioned beachfront studio sleeps up three adults and is just a 10 minute walk from the grocery store and restaurants. The private terrace allows an ocean view and you’ve got access to a private beach and private swimming pool. This charming one bedroom, one bathroom home sleeps two guests and is less than 500 feet from a beautiful sandy beach. Perched on a cliff next to Rogues Bay, this well equipped home includes a full kitchen and washer/dryer. The air conditioned home features a large deck and the bedroom offers panoramic views of the ocean. The Tree House on Eleuthera lives up to its name. This large two bedroom, two bathroom home is just steps from the beach and all the living spaces are on the second floor. 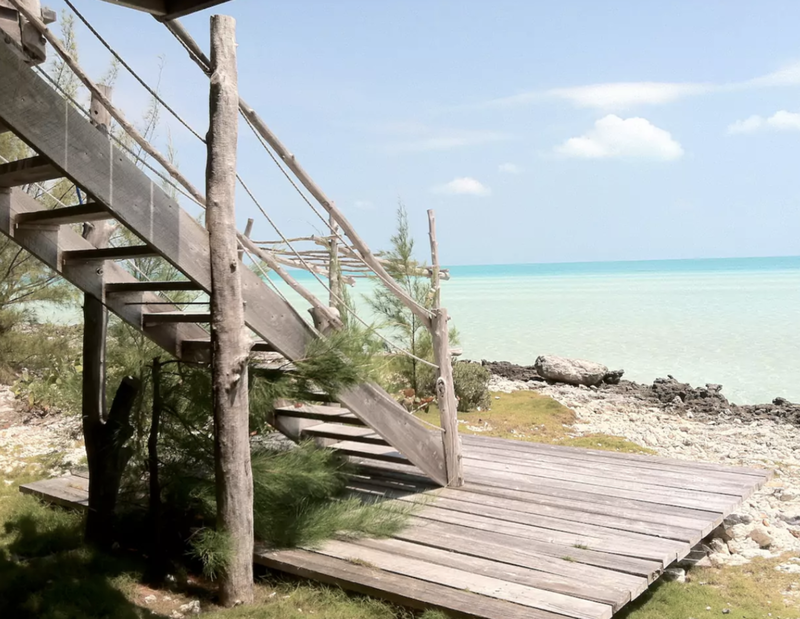 The house is entirely constructed of Casuarina and Cypress trees and while it’s simply built, it has the necessary amenities for a relaxing beach vacation. This cozy East End Cayman cottage includes a widescreen tv and WiFi, but who needs it when you’ve got a porch with a hammock and a gazebo with a swinging bed? And if that’s not enough, there’s a private beach. Breakfast basics are provided and the cottage is decorated with Cayman artifacts and artwork. This one-bedroom condo is just 20 minutes from the airport and away from the hustle and bustle of Montego Bay’s nightlife, making it a peaceful escape. The sea breezes on the shaded balcony make it a comfortable place to spend the day enjoying the ocean views. The unit features a fully equipped kitchen and the secluded sandy beach has a shipwreck ideal for snorkeling.